alaTest a collecté et analysé 10 avis de consommateurs et d'experts pour le produit Keurig B70 Black Platinum Brewing System - Retail. La note moyenne du produit est 4.7 sur 5, tandis que les autres produits de même catégorie ont une note moyenne de 4.2 sur 5. De nombreux avis apprécient l'ergonomie. Le bruit impressionne, mais les auteurs d'avis sont moins positifs sur la taille. Après analyse des notes de consommateurs et d'experts, de l'âge du produit ainsi que d'autres facteurs, et comparé aux autres produits de même catégorie, le Keurig B70 Black Platinum Brewing System - Retail obtient un alaScore™ de 81/100 = Très Bien. GET THE REUSABLE FILTER SCREEN, AND RECYCLE THE GROUNDS INTO YOUR GARDEN. GO GREEN! LOVE THIS MACHINE!!! Makes a cup of coffee the way each person likes it. 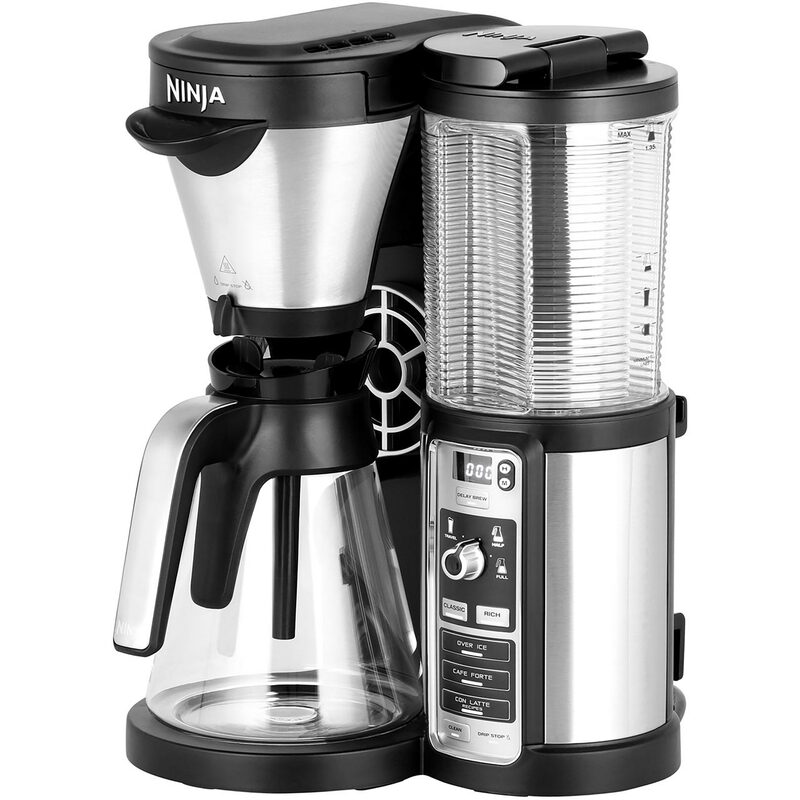 Fast brewing and very simple to use. By using the reusable screen filter, there is less waste and again, individuals get what they want and how they like it. True you can't walk into any store and get Kcups, but ordering online is no big deal. You can even set up recurring deliveries if you want . The selection is about as good as you could want. Unlike the first reviewer this machine does not create a lot of waste as a matter of fact its just the opposite. BPH in the kcups, confirmed by Keurig support (they have no plans to remove it). Every morning, this thing wakes up my grandmother - and she's been dead for 20 years. It is that loud. I didn't buy it here, but have the same model at home. I gave all of my relatives each and everyone loves it. If you want a cup at of coffee, this is the one you want. It makes the best coffee by the cup. You don't have to make a big pot of coffee anymore. Also, heats the water in couple of minutes too. Not free. The K-cups are about $0.50 cents a cup beats Starbucks! I love this machine. All of my coffee tastes stunningly fresh. It takes these individual pods and no oxygen reaches the coffee prior to brewing. It's top notch. I love it. Only one cup at a time, makes serving for parties a bit difficult.